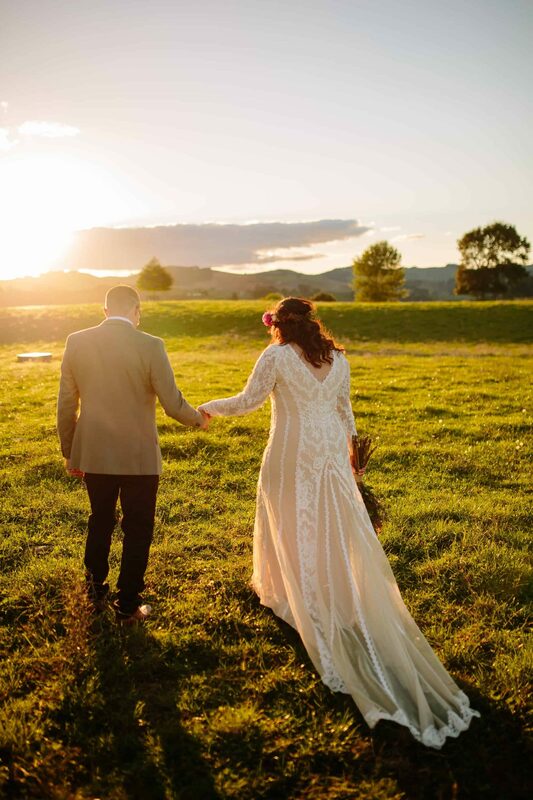 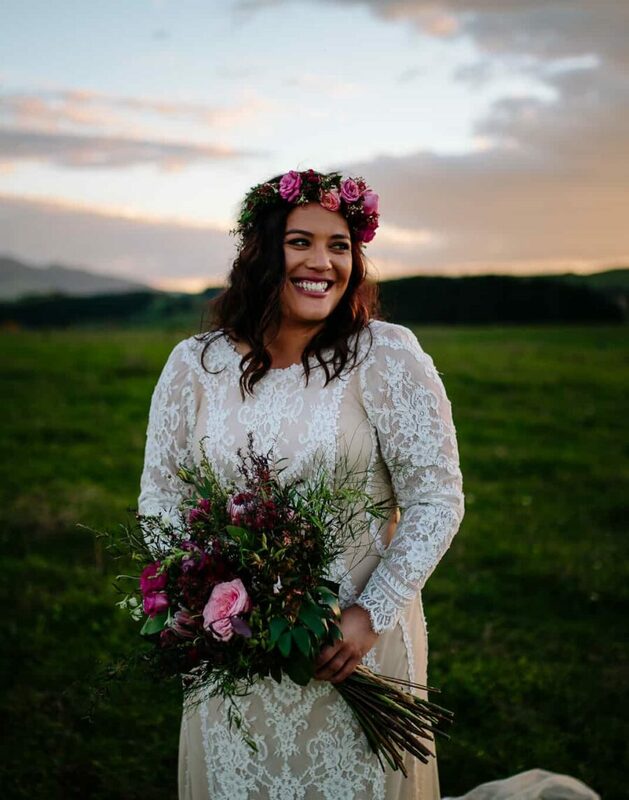 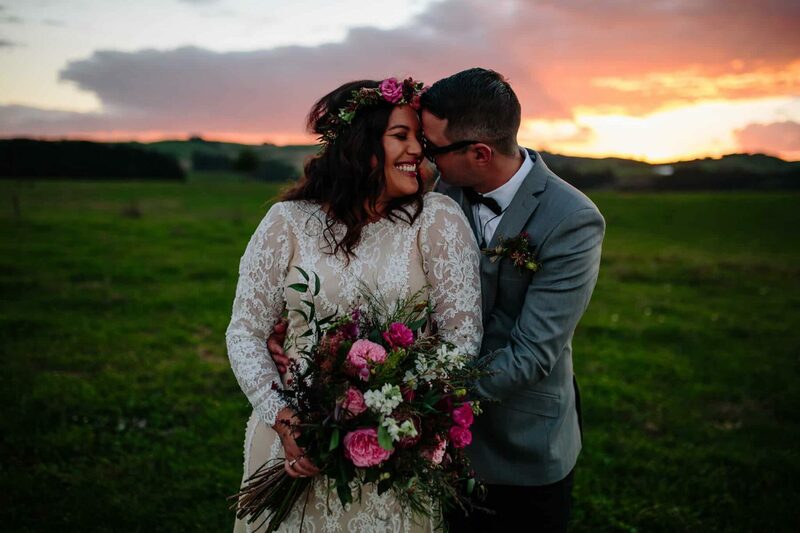 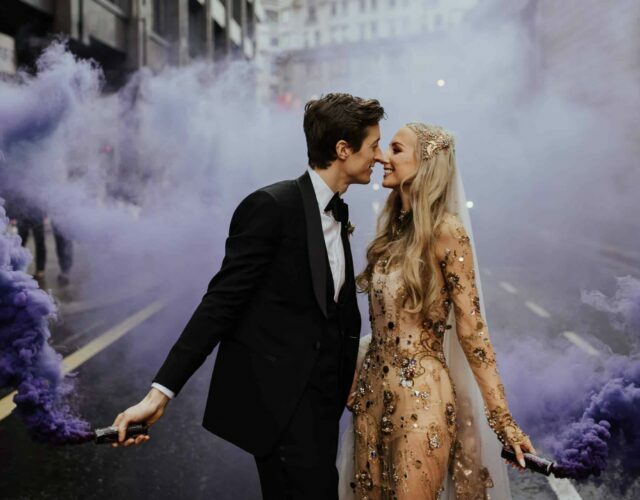 As far as dream backdrops for wedding snaps go, a spectacular New Zealand sunset is very high on our list, and it doesn’t hurt to have the likes of The Official Photographers there to capture the moment. 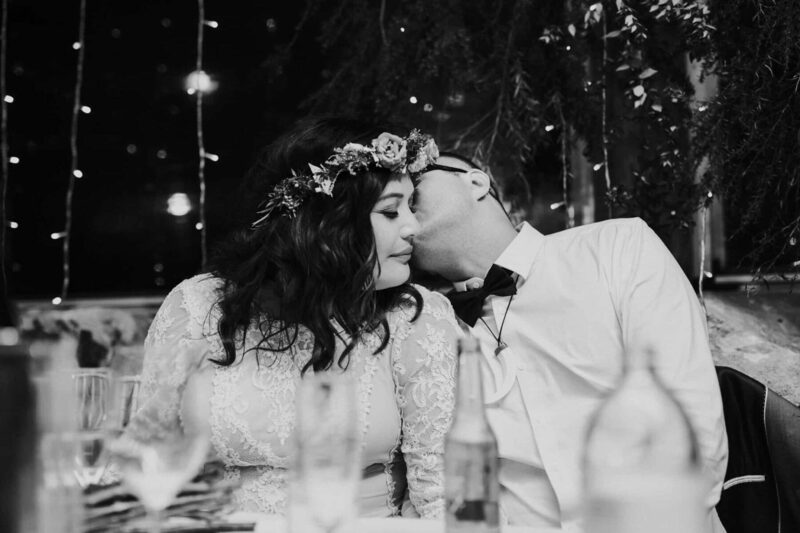 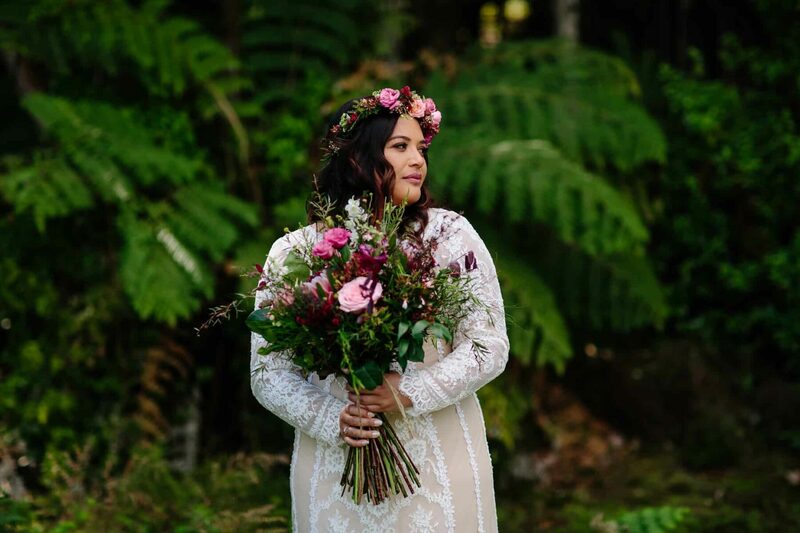 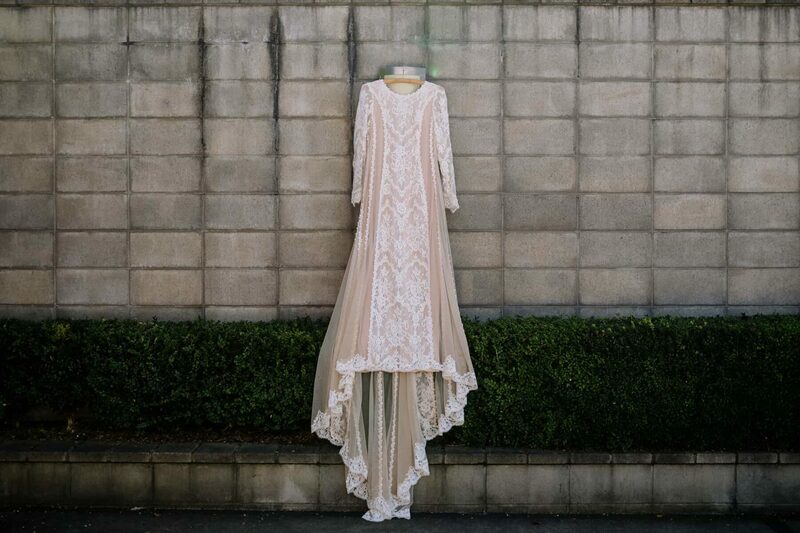 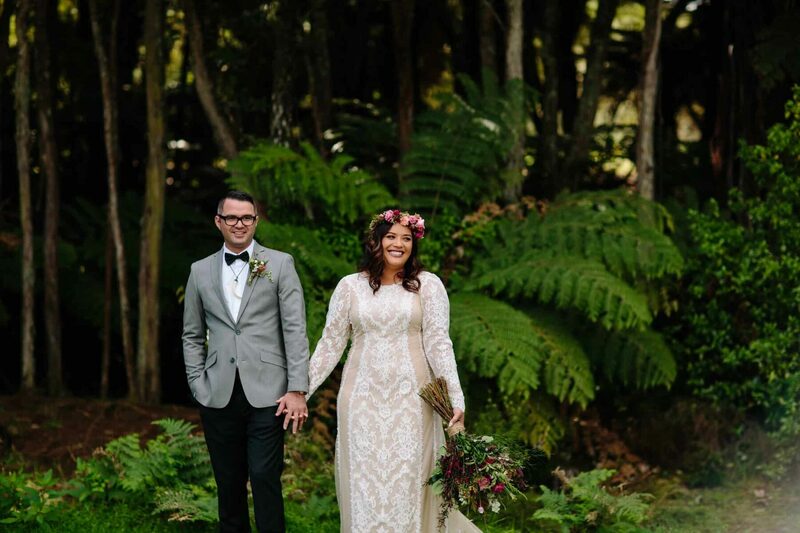 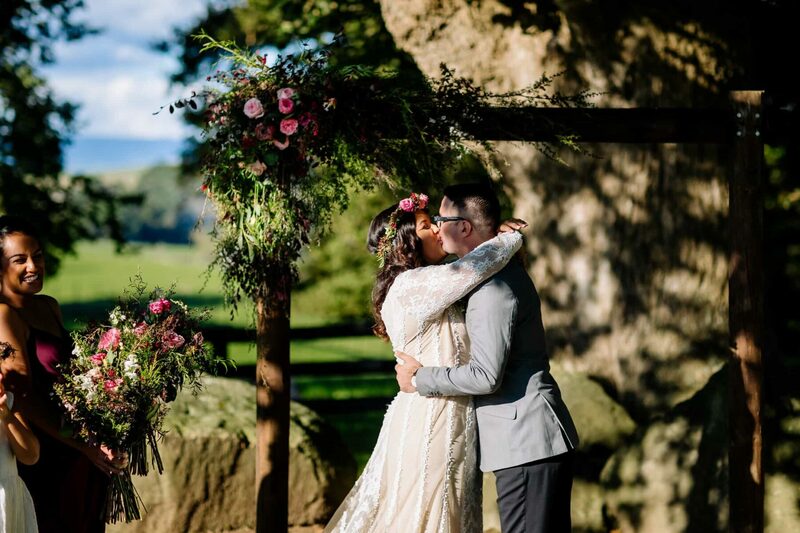 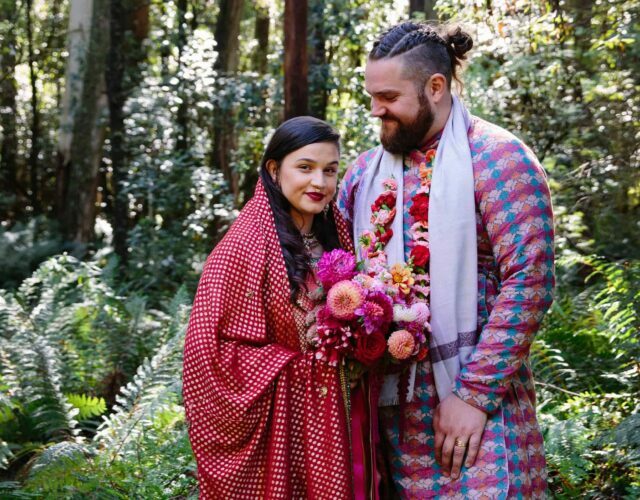 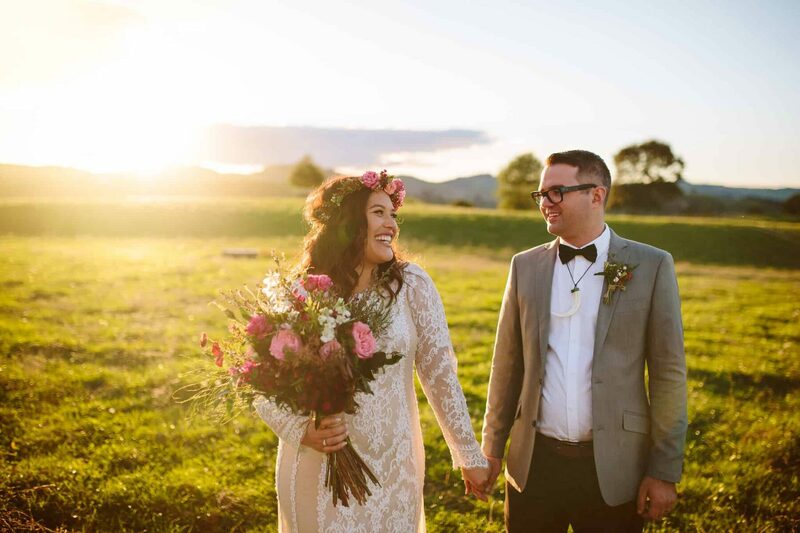 Kyla and Jase’s laid-back nuptials on the lush green hills of Waikato were stylish and glowing with warmth. 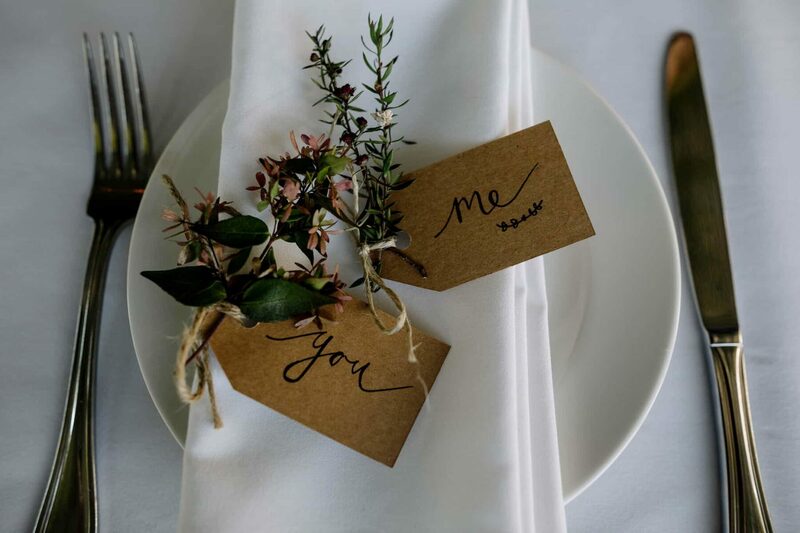 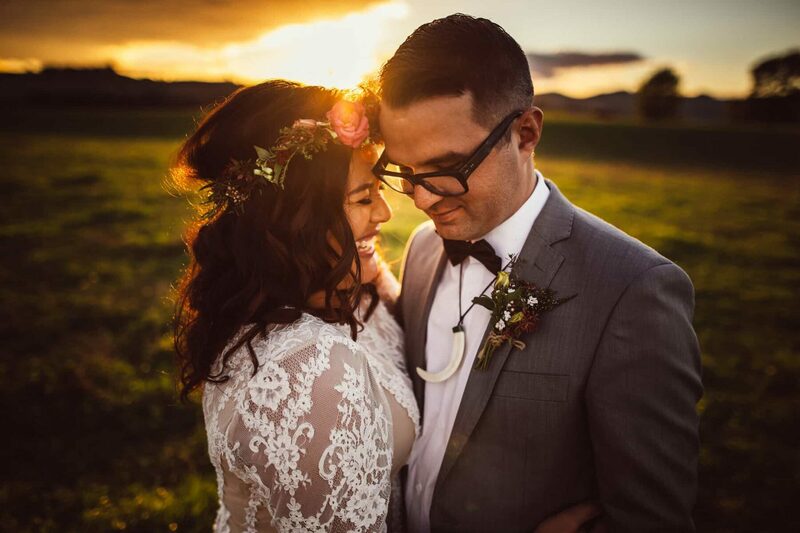 Kyla and Jase used their ceremony to come clean concerning a little fib about how they first met. 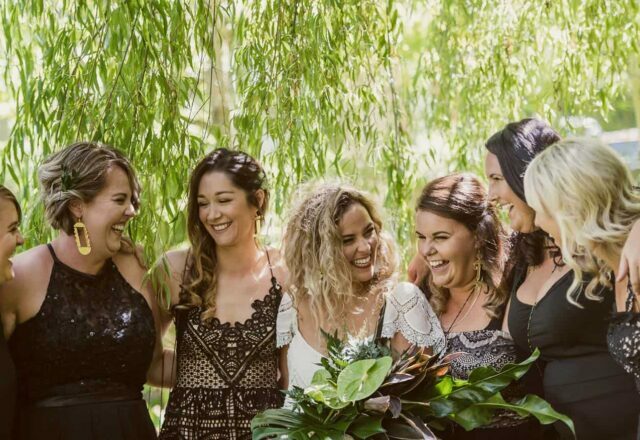 After being brought together in the early days of Tinder, they told friends and family a very cheesy story about meeting at a petrol station. 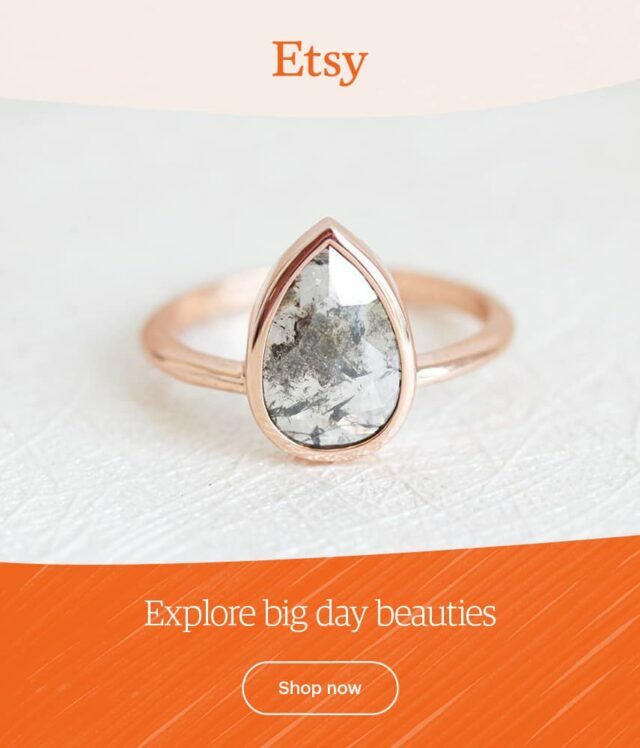 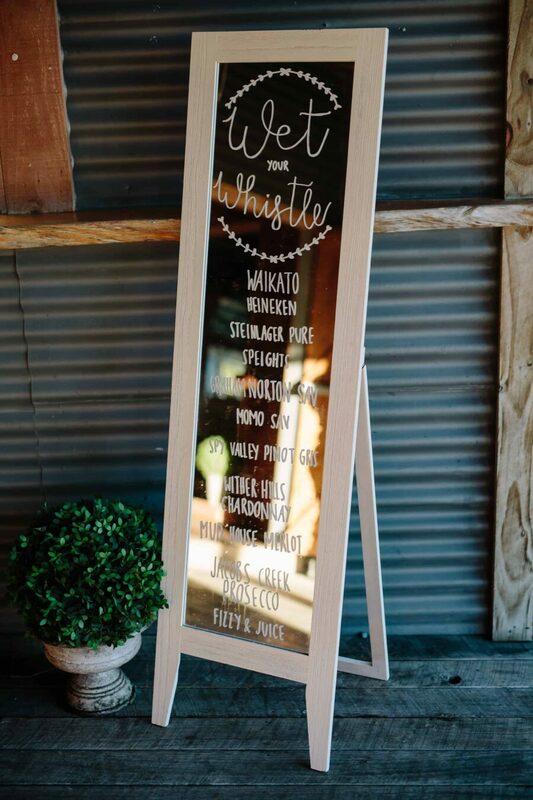 Complete with cute details! 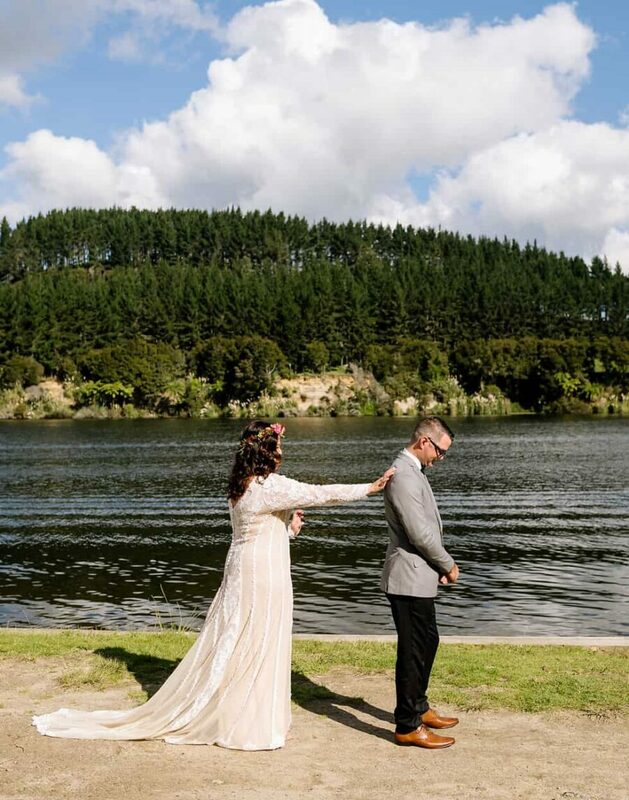 Jase helped her with a petrol cap and they both bent down to pick it up and bumped heads. 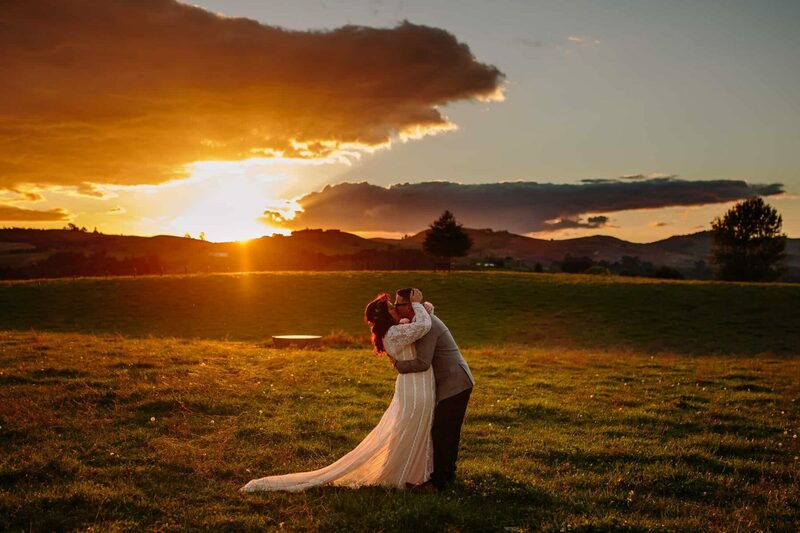 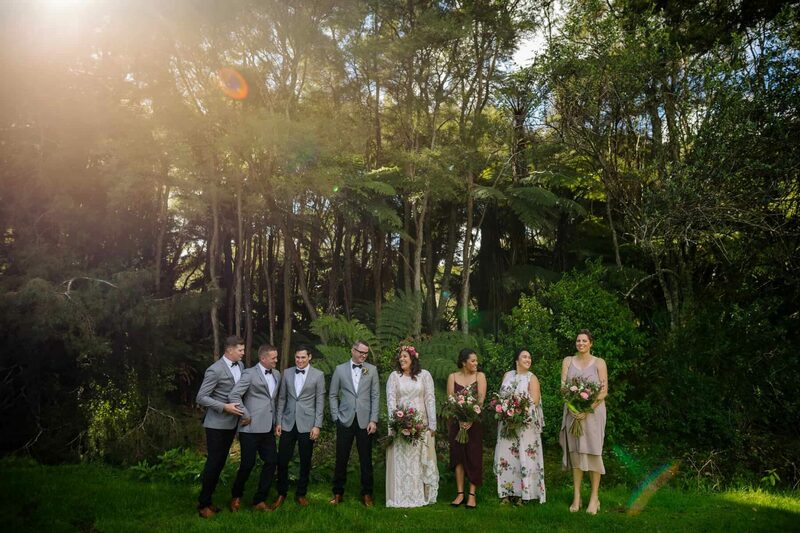 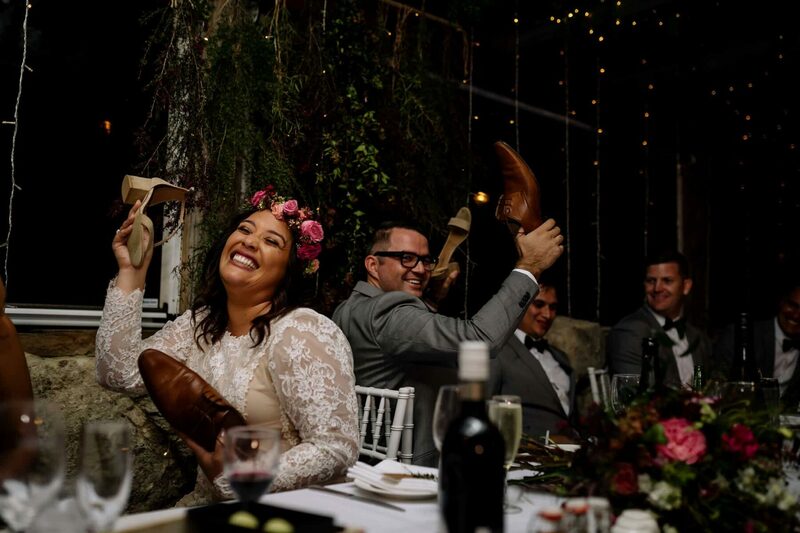 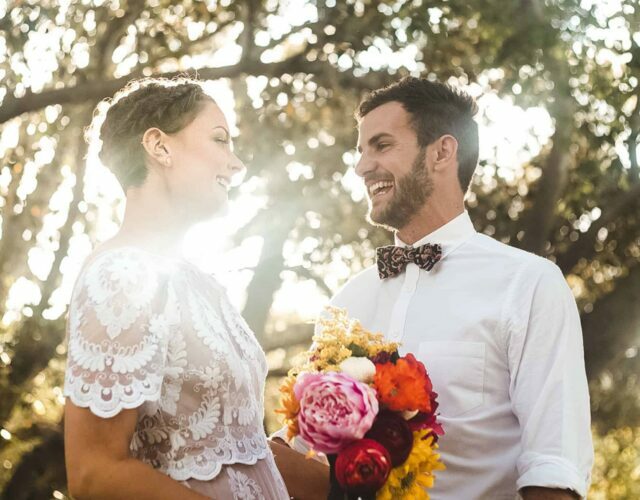 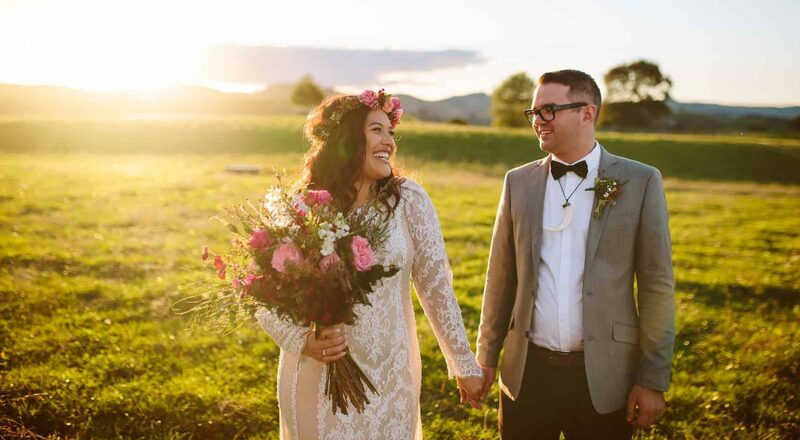 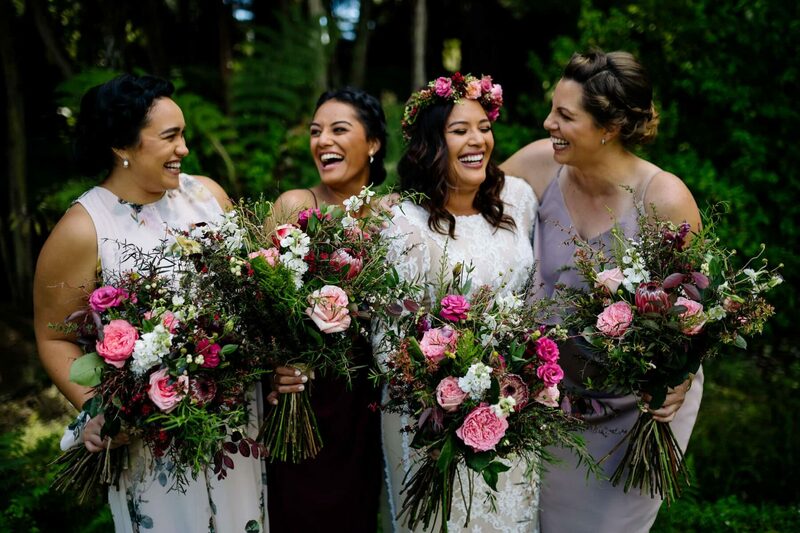 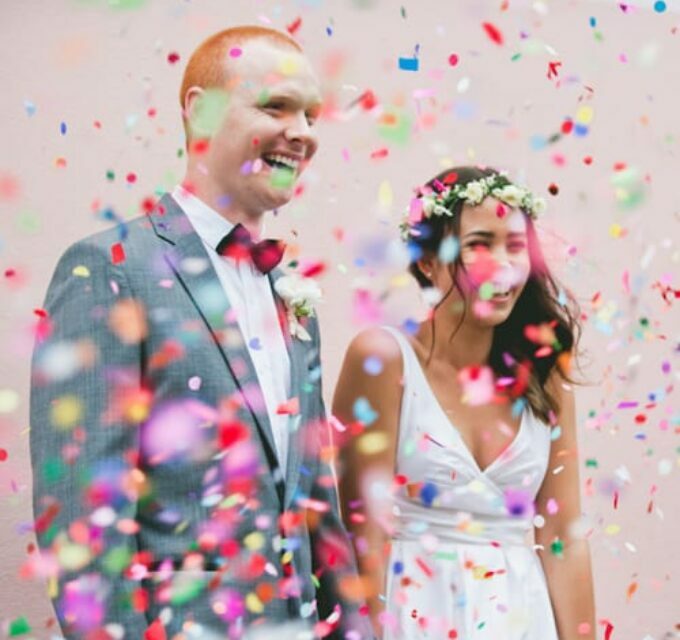 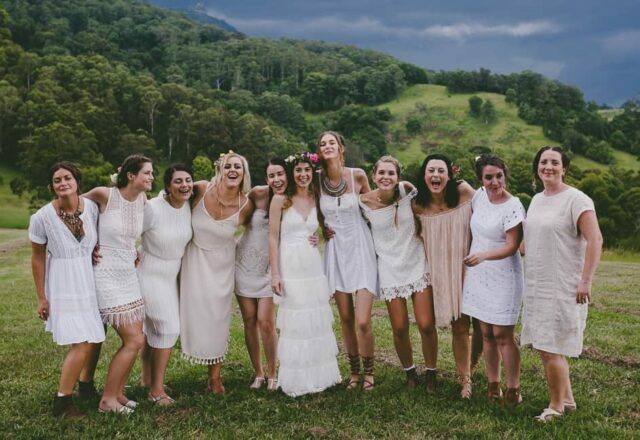 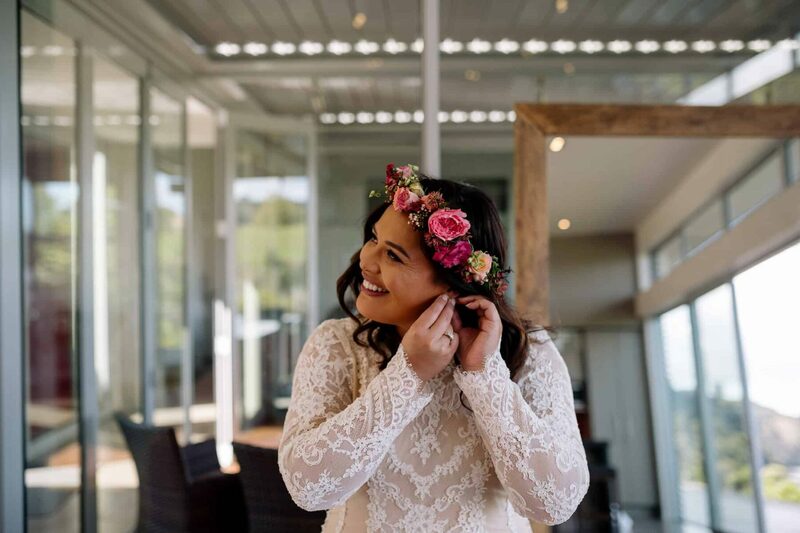 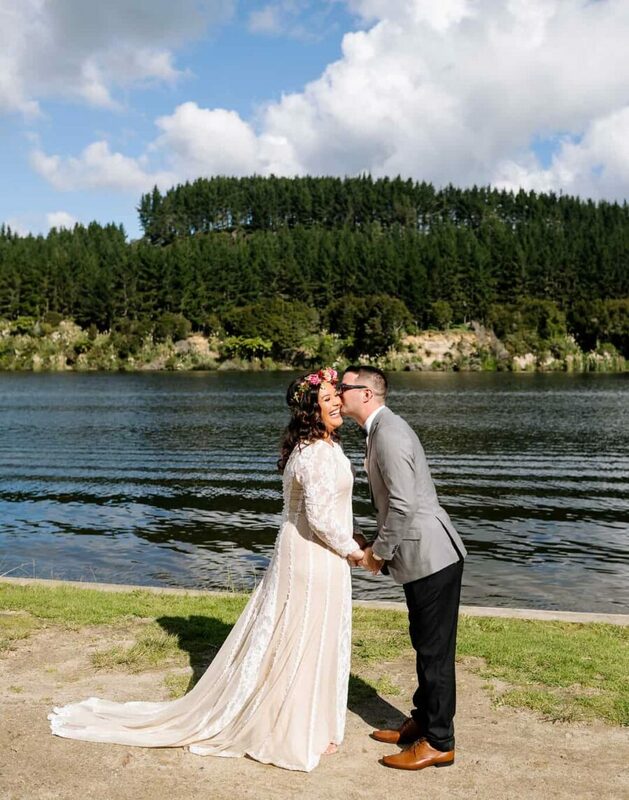 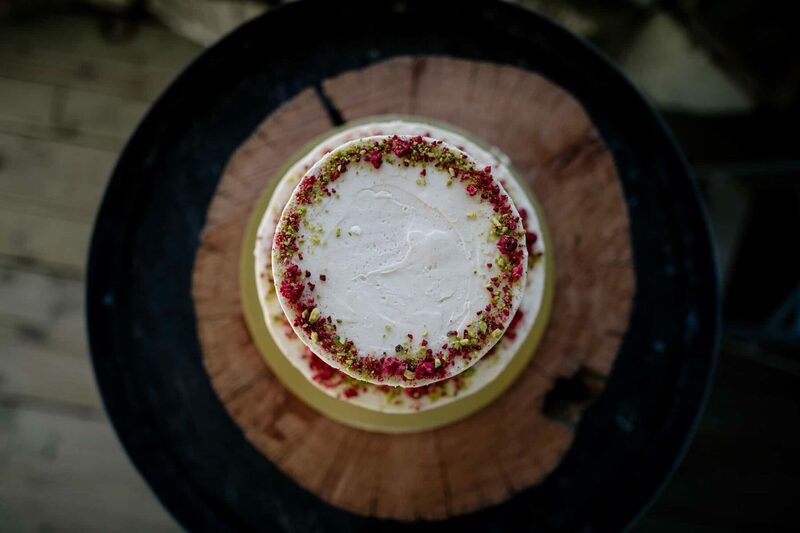 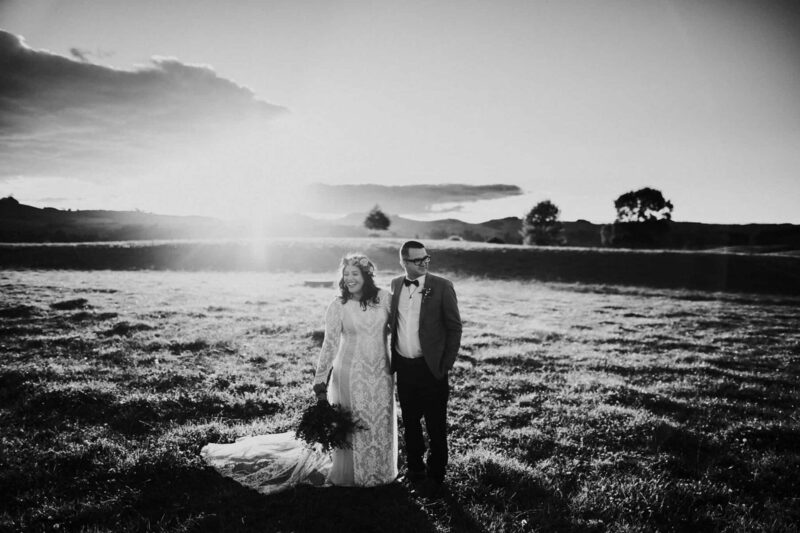 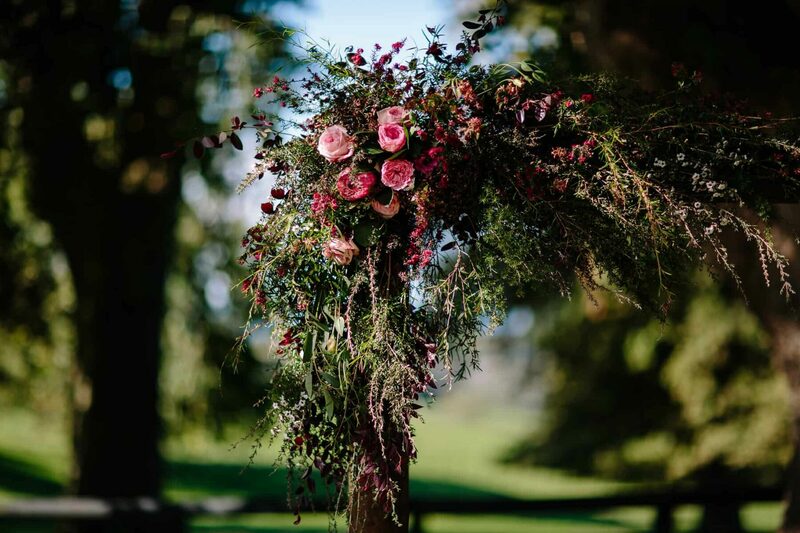 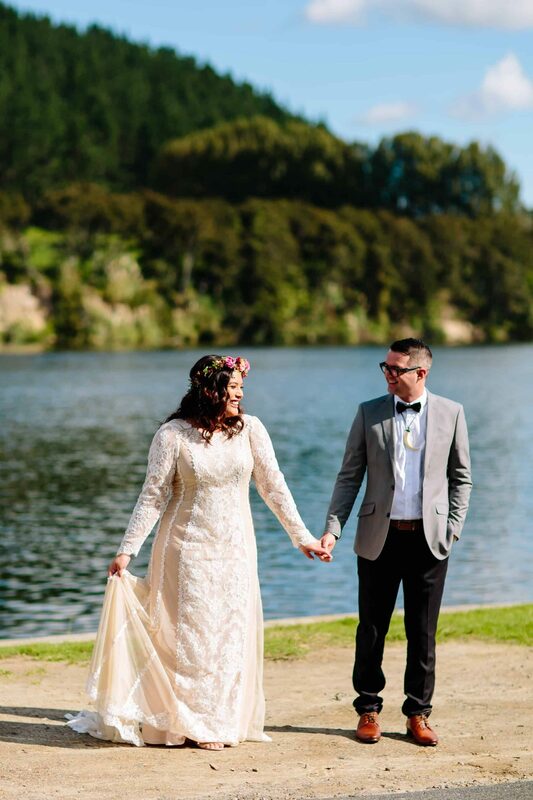 The Red Barn set in the stunning Waikato countryside proved to be the perfect setting for their relaxed and fun day. 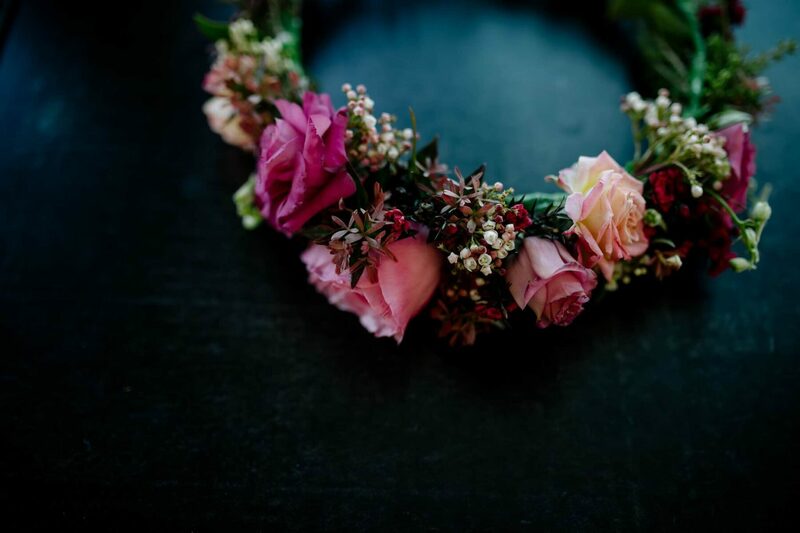 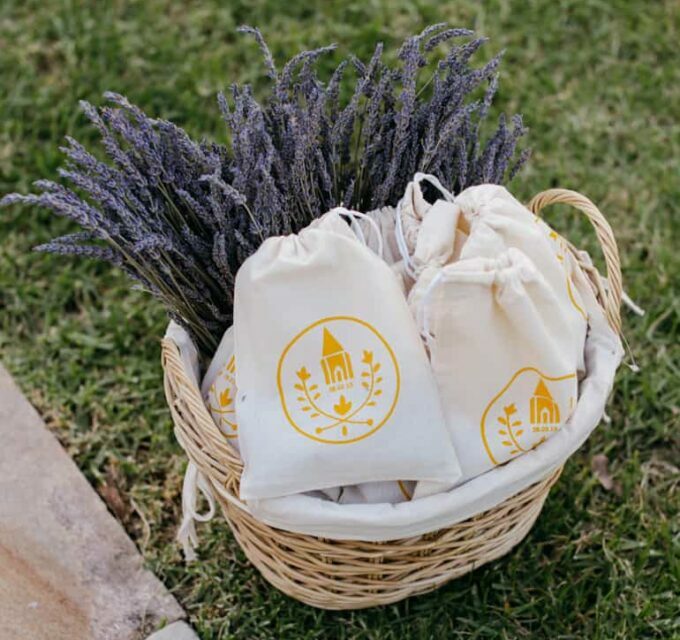 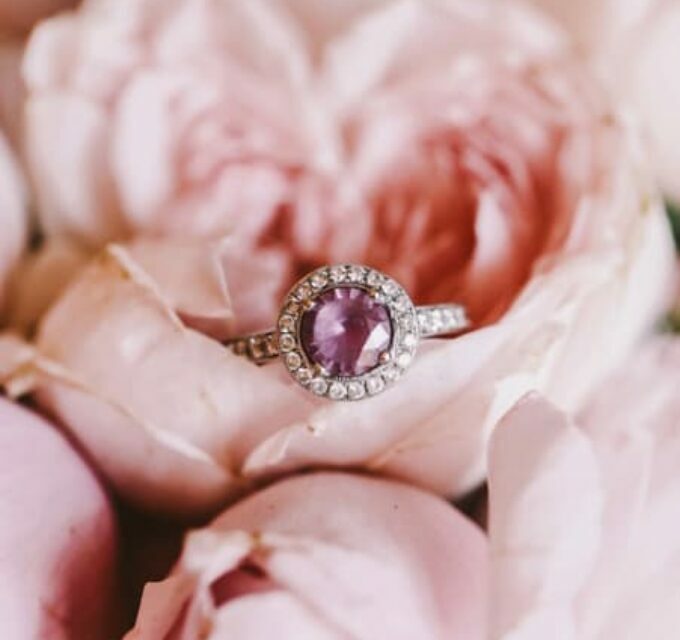 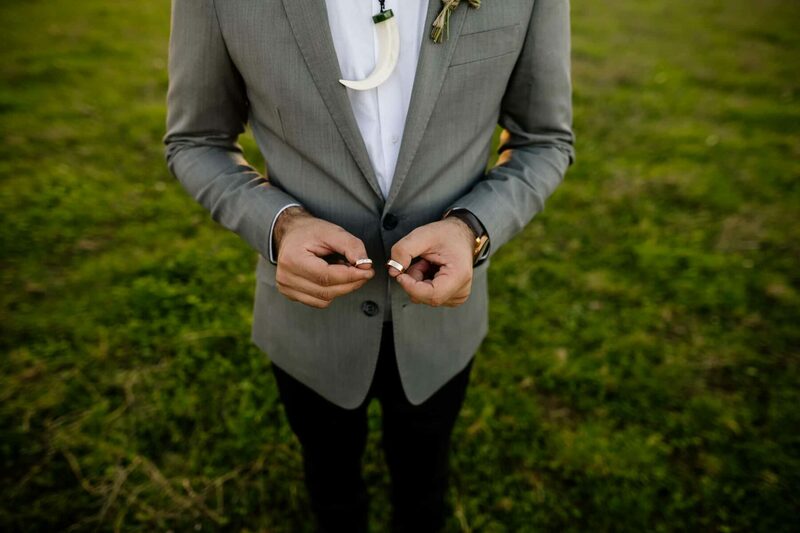 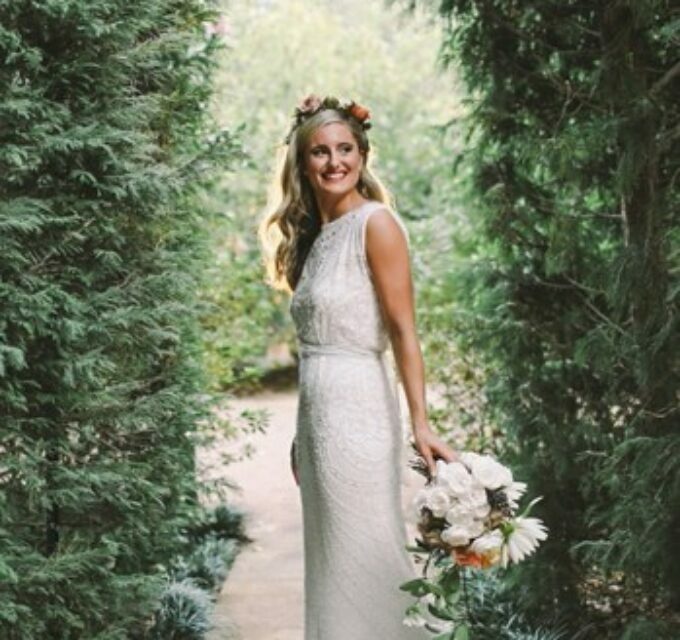 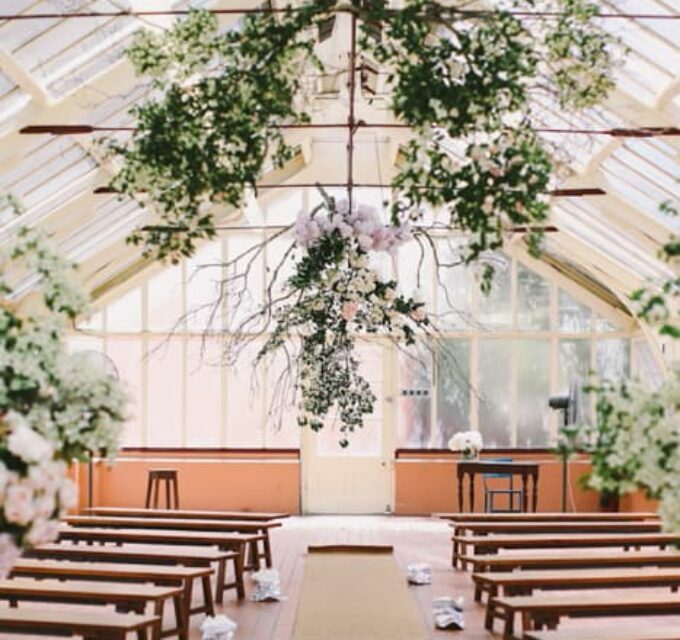 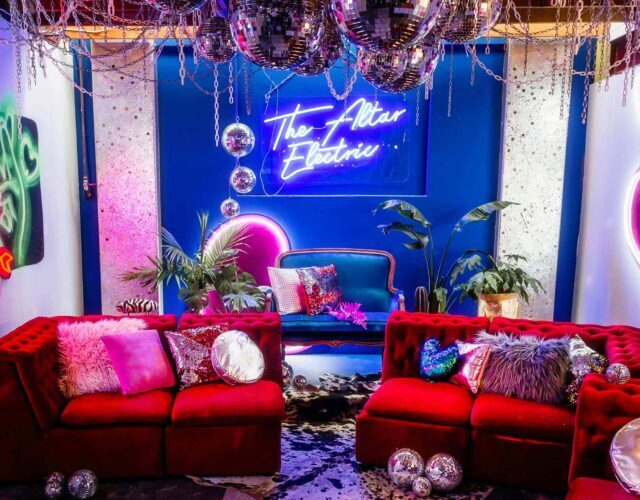 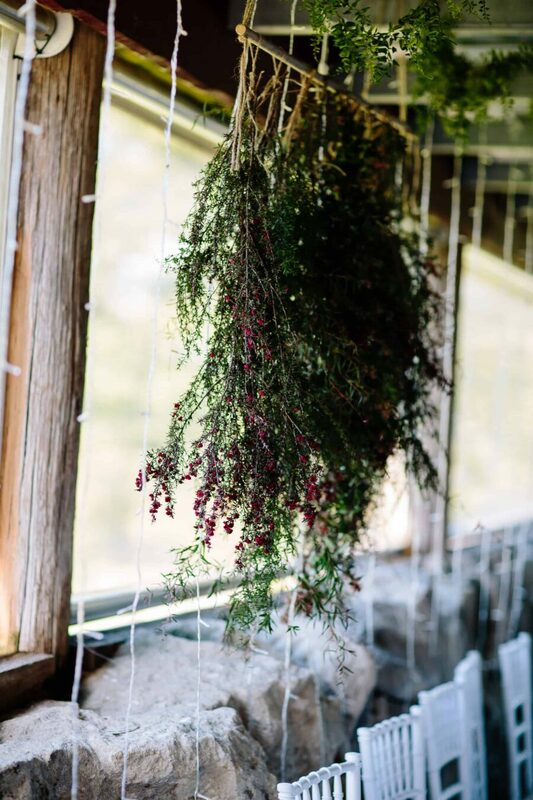 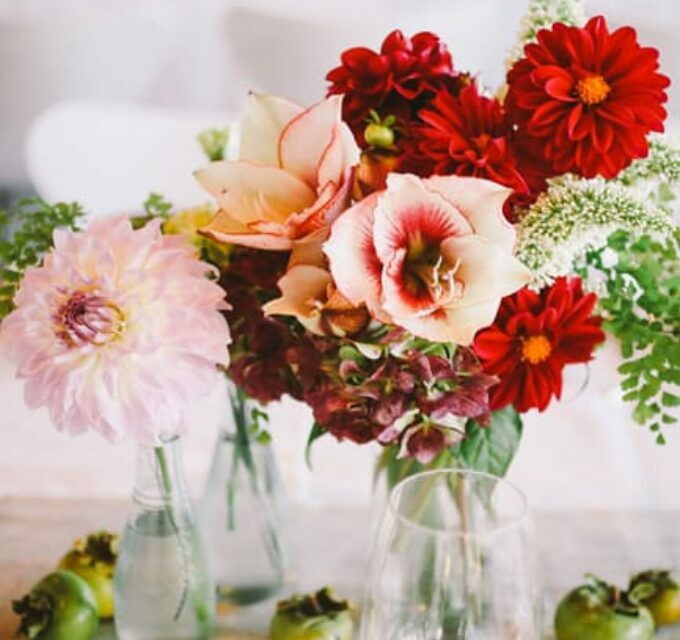 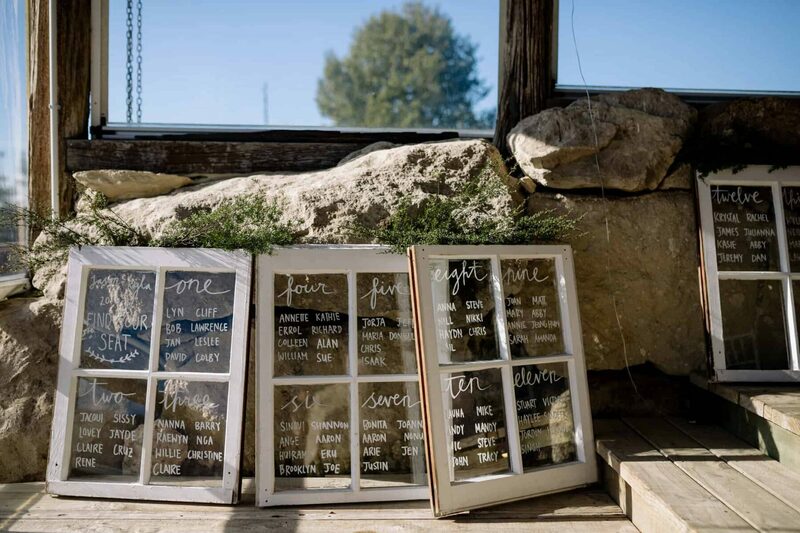 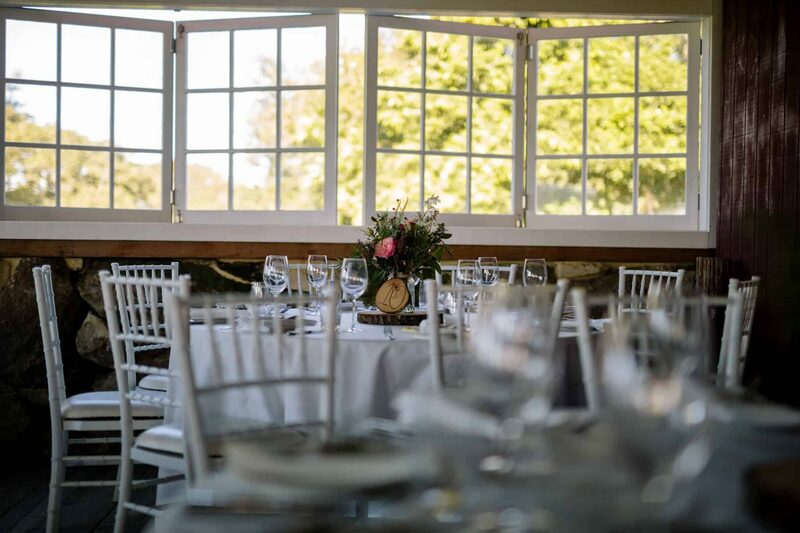 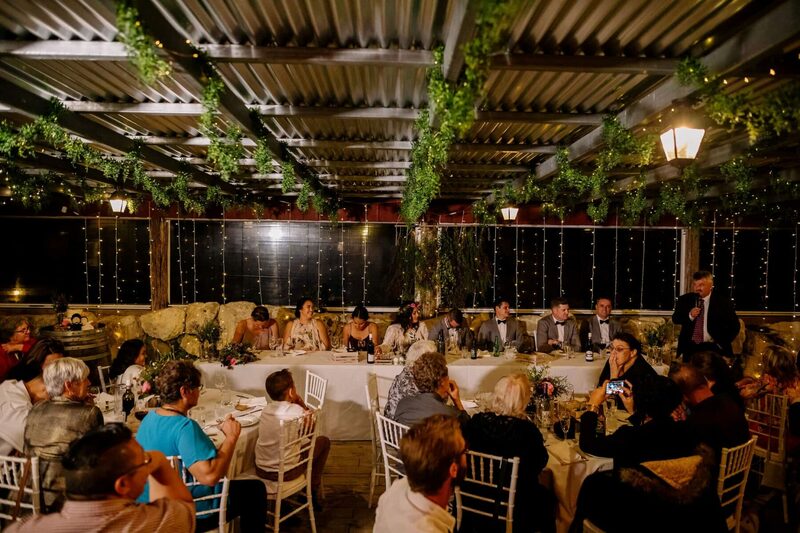 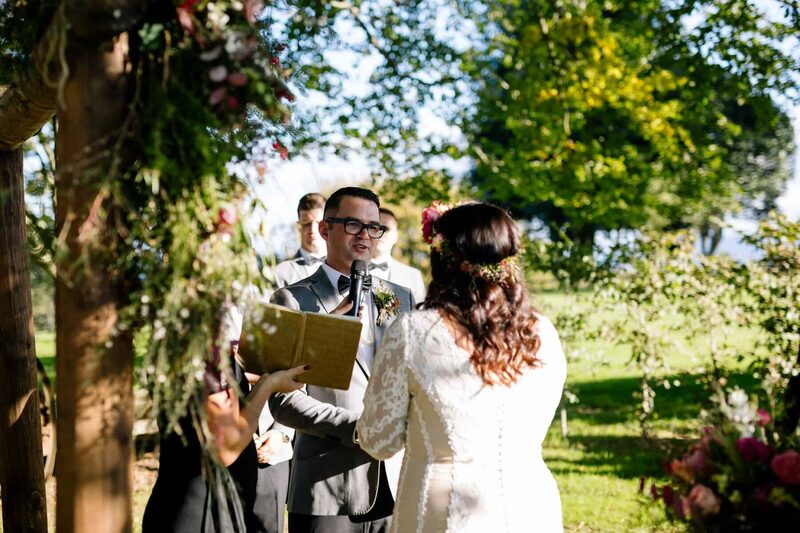 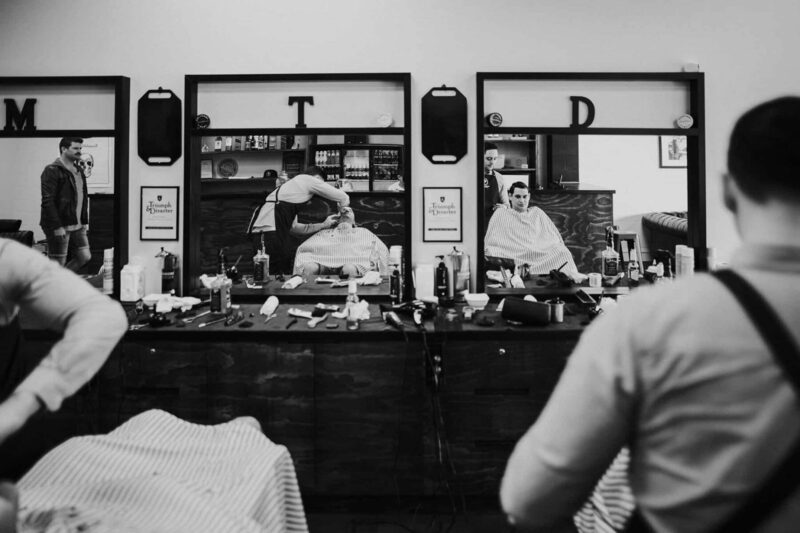 “It was really easy to choose our venue because it is just so beautiful. 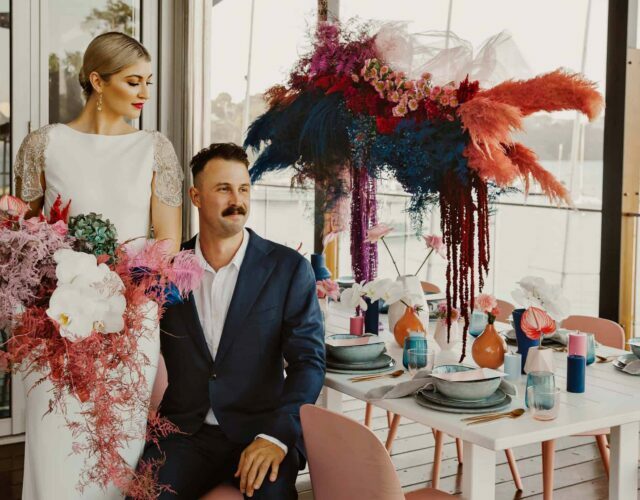 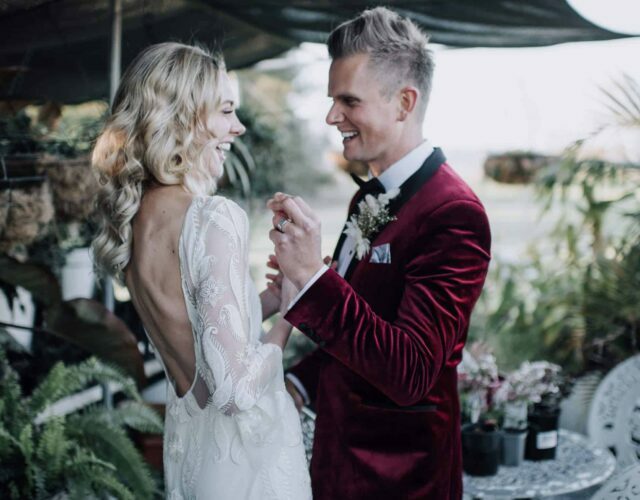 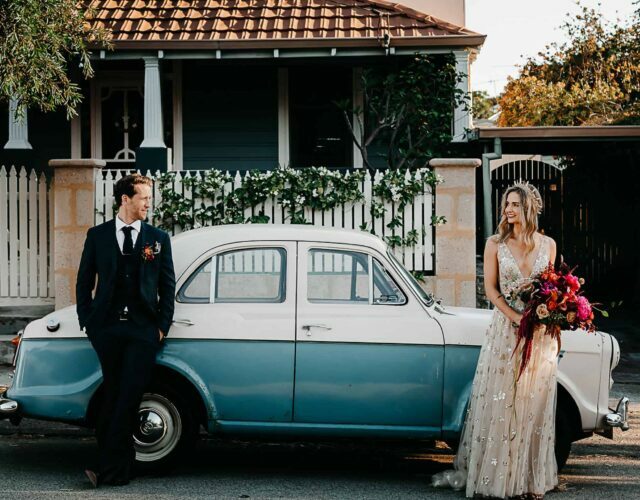 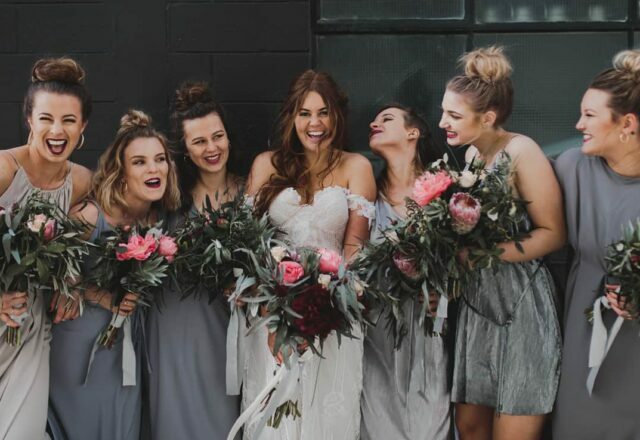 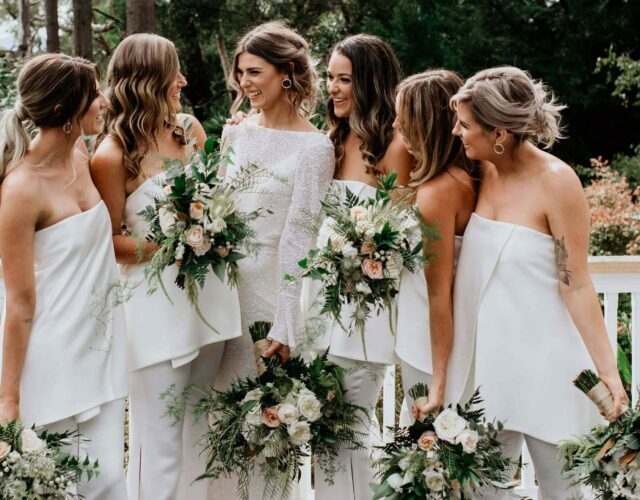 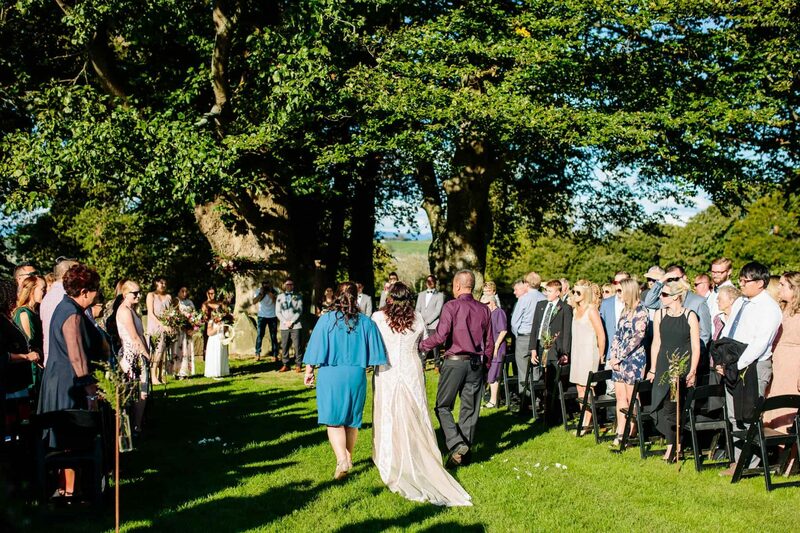 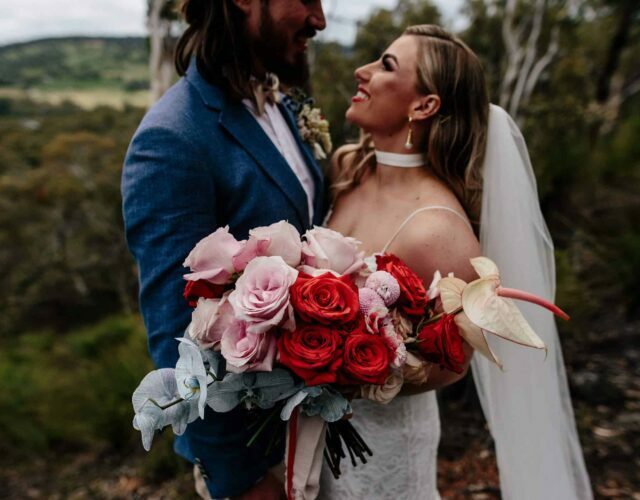 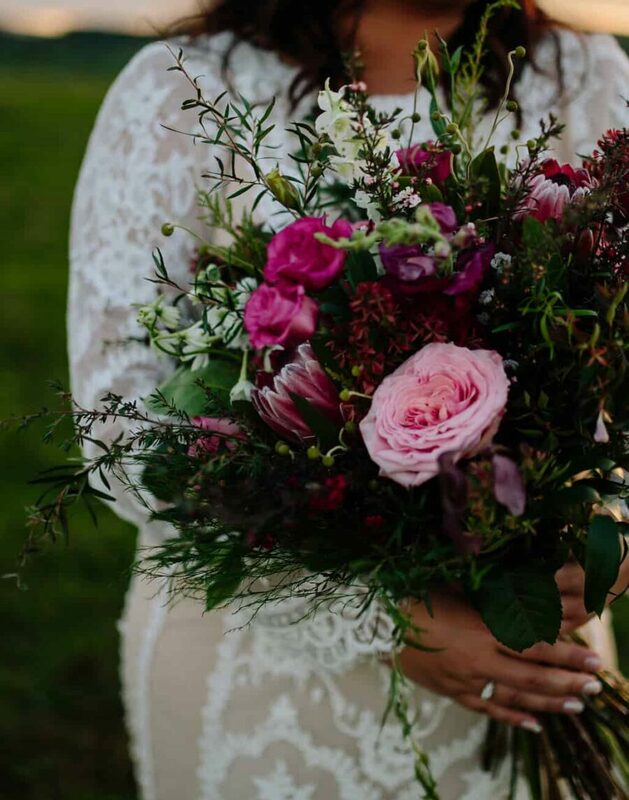 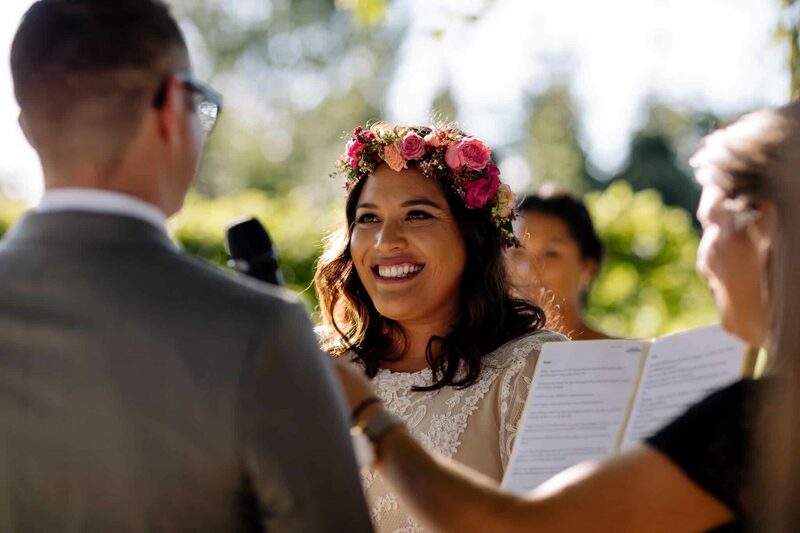 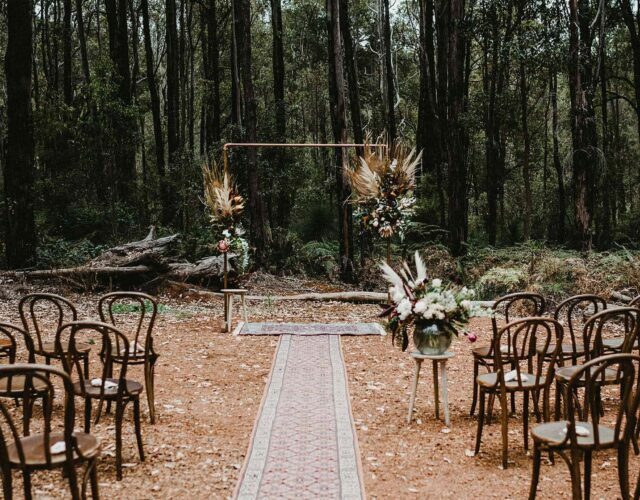 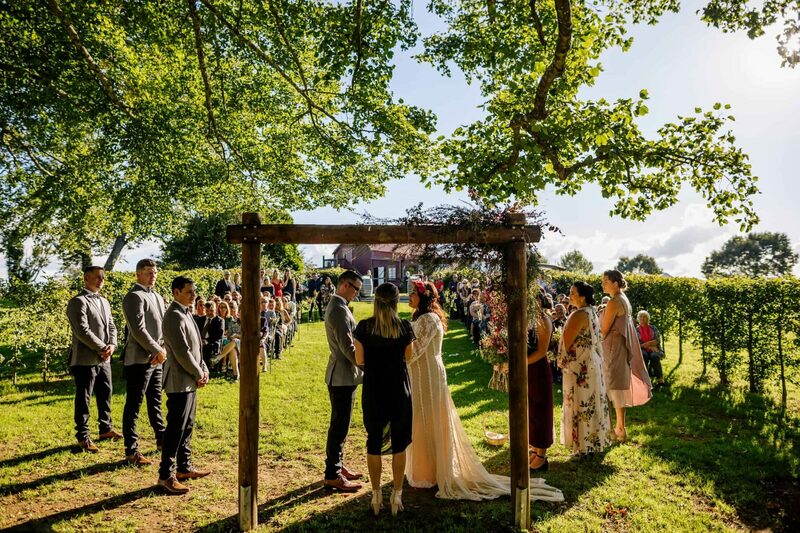 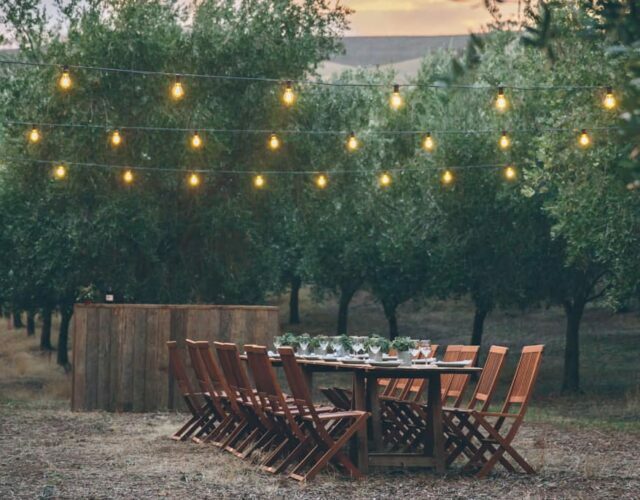 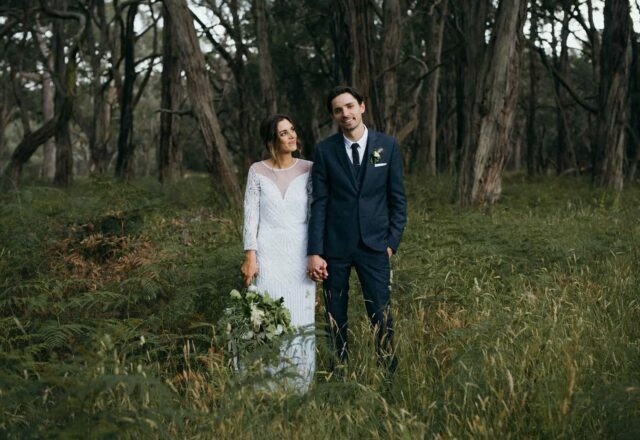 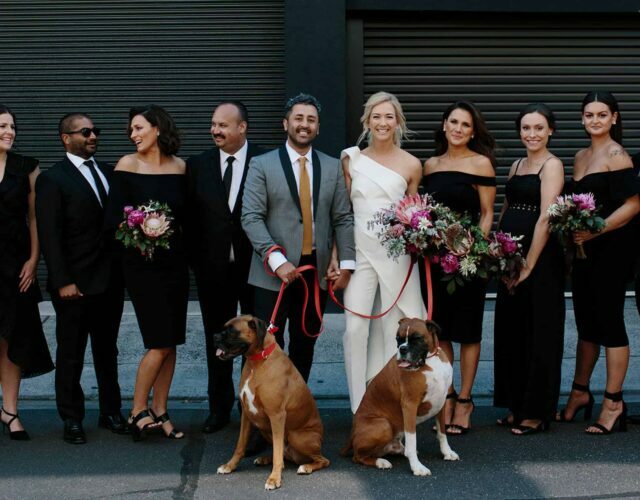 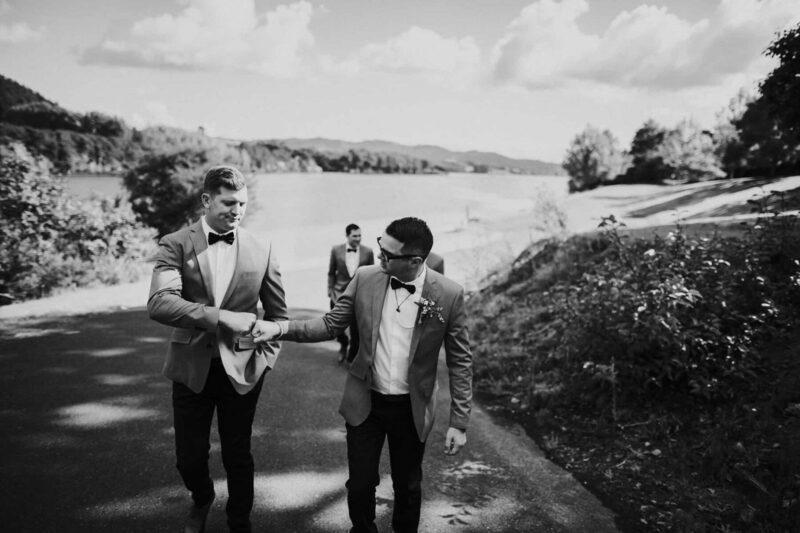 The moment you drive up that long driveway you can’t help but get excited.” Wanting to have the whole day in the same location, the venue provided plenty of spots to transition from ceremony to reception without having to bother with transport.